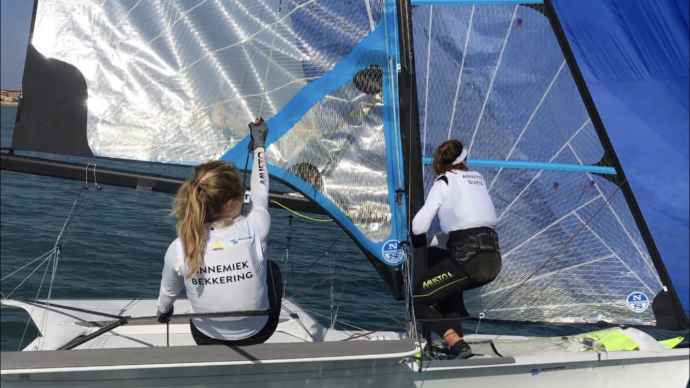 After a month’s relaxation from a sailing season which saw Annemiek Bekkering and her crew Annette Deutz become world champions in that super-fast dinghy, the 49erFX, it’s straight back to training. 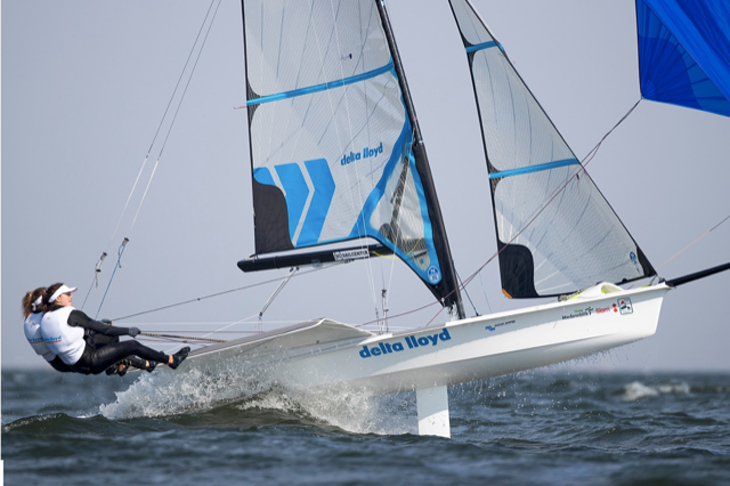 A gruelling winter schedule has been planned, and finds the Netherland Olympic hopefuls in Cadiz, on the Atlantic coast of Spain. Most people who visit Cadiz during November go for a glimpse of winter sun, and perhaps to admire the relics of maritime trade which stretches back for thousands of years. Annemiek and her team go for a workout, and to find a bit of wind and rough water. Constant training is the key to achieving success in any discipline. Annemiek has her eye on defending her World Champion title next year …and is ambitious to qualify for a place in the Olympics to be held in Tokyo in 2020. 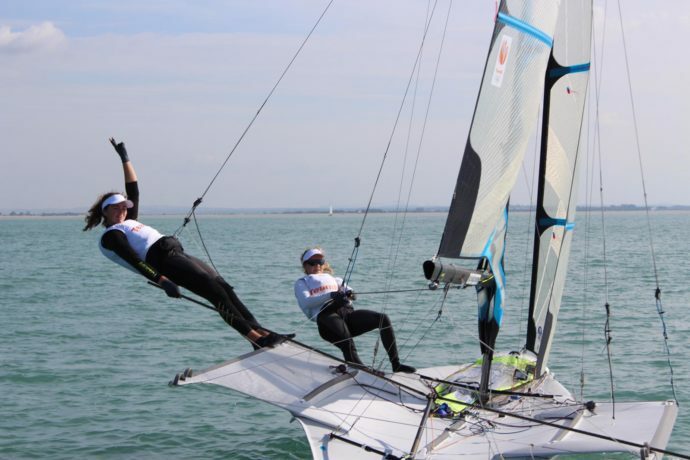 …and the European Championships to be held in Weymouth, UK in mid May. Among Annemiek and her Dutch colleagues, the team producing the best performance at these two events will go on to represent the Netherlands in the Olympic competition in Tokyo. So what is on Annemiek’s mind as she, and her crew Annette Duetz, prepare for the important year ahead? Mainly it’s about improving skills, she says – both with regard to boat handling – but also with a focus on brilliant communication between Annemiek and her crew Annette Deutz. Communication is vital to producing the choreography of movement we see breathtakingly performed whilst gybing their boat at speeds of up to 30 knots! At this top level there’s simply no room for mistakes. Annemiek says the endless training has the aim of ‘making sure your weaknesses are good enough to win races’. Yet there is more to it than great boat-handling: the ability to spot imminent changes to the wind or water and deciding to change your plan to take advantage of those new conditions may prove to be instrumental in winning a race …if you’re brave enough to strike out from the rest of the pack! It’s a gamble – but that’s the fighting spirit which keeps us on the edge of our seats! Victron Energy is proud to sponsor Annemiek Bekkering, and to nurture young talent. We look forward to following her through the thrills and spills of the coming season.